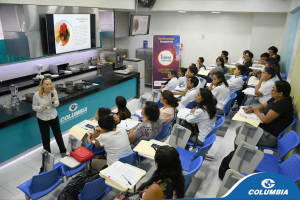 Researchers from the National Agrarian University La Molina (UNALM), together with renowned Peruvian chef Flavio Solorzano, held the first-ever “Cooking Science – Peru” event on February 28 2019, as part of the Protein2Food (P2F) project. This event, which took place at the Columbia Gastronomic Institute explored the science behind the gastronomic richness of quinoa, otherwise known as Chenopodium Quinoa Willd. The aim of the event was to raise public awareness of the research findings led by Dr. Ritva Repo, which focuses on the development of highly nutritious and tasty dishes using different varieties of quinoa. Dr. Repo was in charge of the first presentation, where she outlined the nutritional benefits of quinoa consumption and explained the nutritional differences between the different varieties. This was followed by a presentation by Professor Roberto Ugás, MSc., a renowned researcher at UNALM specializing in hot peppers and squashes. 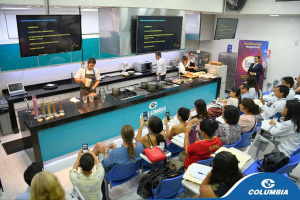 Professor Ugás showed the different types of peppers found in Peru and explained the nutritional benefits of squash consumption, highlighting a variety of squash known as “zapallo loche” that has the denomination of Peruvian origin. Next, came the joint presentations by chef Flavio Solorzano and Julio Vidaurre, MSc. 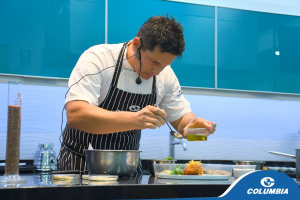 Chef Flavio showed the preparation of five recipes using different varieties of quinoa (Amarilla sacaca, Kancolla, Blanca de Junín, CICA 18). Among the dishes prepared were quinoa milk, fish roll with quinoa, quinoa pepián (stew) and a pie with quinoa, squash, and caramel. Mr Vidaurre was in charge of explaining the physical and chemical changes that occurred during the cooking, frying and baking of the different ingredients. This event served to encourage quinoa consumption by showing the nutritional benefits of these Andean grains. 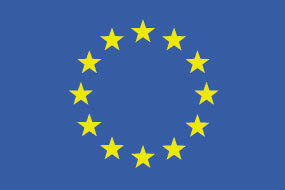 As it was organized under the framework of the P2F project and sought to show high-protein food alternatives that can replace the excessive use of animal protein.